Pacing Learn to listen to signals from your own breathing to know at which level you are riding at. Hutchinson reckons that he can tell from his breathing if he is going about a threshold level which can be maintained in a time trial. Specificity. One thing that comes out through the interviews with British Cycling coaches is the importance of specific training to the exact demands of the event. E.g. Rebecca Romero was put on rollers to train for 4km pursuit because the biggest thing she needed was to improve her cadence. 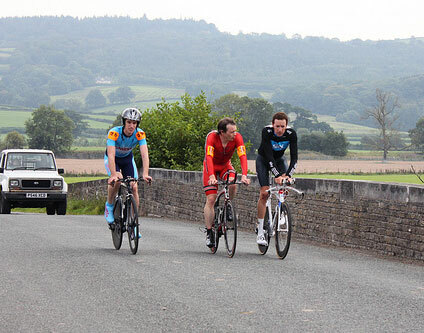 Bradley Wiggins was doing intervals replicating how he would need to respond to an attack in the mountains. This might all seem obvious, but the trick is actually doing it. I know I’m guilty of going out and doing what I feel like, rather than cold-headly, with the help of a coach, deciding what my goals are and what is needed to achieve them. Food. Don’t forget to eat properly. Team Sky ban soft drinks for what it is worth. The last book I read so quickly was The Secret Race by Tyler Hamilton. I didn’t so much enjoy reading it as finding it impossible to put down – the lurid details of all the doping shenanigans were worse that I’d ever dreamed of. But, like a bad horror film, once started you feel you have to get to the end. The Secret Race was a necessary read, but I also felt a little guilty for boosting the ‘doping and confession market’ which has come to dominate the cycling world in the past couple of years. It seemed that those who least deserved more commercial success were able to write themselves a blank cheque just by writing a very belated confession. There is an injustice to those riders of that era who never got into that murky world of doping, but always rode clean But, at last it is satisfying to read a cycling book which is about cycling and the more noble ideals of cycling – trying to honestly go as fast as you can. For want of a better word it is an inspiring book, reminding us of the real purpose of competitive cycling. 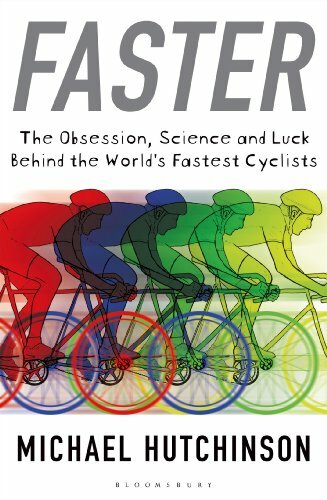 Even if you are not an obsessive speed freak, this is a book worth reading because it is an entertaining read about the inner workings of cycling; it helps to explain the success of British Cycling in recent years, and explains why that dominance is perhaps unlikely to last. For the obsessive speed freak (especially any timetriallist), it is a definite buy. But, overall the author should be commended for making such a potentially dull and difficult subject quite entertaining and enjoyable to read. Now, I just have to go back and read it a second time to try and understand the law of turbulence and the efficiency of VO2 max consumption or whatever it was.